Still impatiently waiting for the BlackBerry Z10 to arrive in the U.S., @BlackBerry gave fans in the states a heads up today that BlackBerry 10 will indeed be landing on US soil soon. In a Tweet from the official account, BlackBerry stated that "BlackBerry 10 will be available across the U.S. in a few short weeks". While an official date didn't come along with it, it does stay on par with a mid to late March launch for the U.S. carriers. 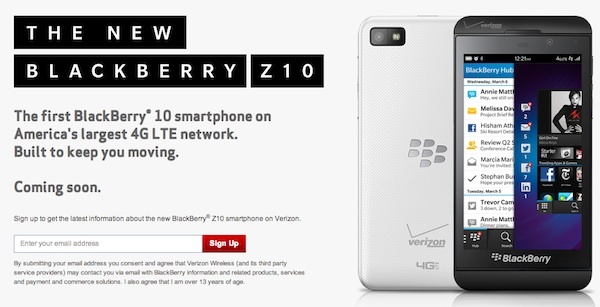 The Tweet also linked off to a landing page where US users can now register for updates with AT&T, T-Mobile and Verizon for the latest news on the BlackBerry Z10.